NEWS: Regulators approve Seattle MEETS expansion. The Bullitt Foundation’s “Living Building” – Seattle, Washington. World’s first Metered Energy Efficiency generator – utilizes EnergyRM’s DeltaMeter™. The MEETS Pilot Interim Report, examining the agreement between the Bullitt Center and Seattle City Light is now available. In April of 2015, we announced the first major field test of the Metered Energy Efficiency Transaction Structure (MEETS). 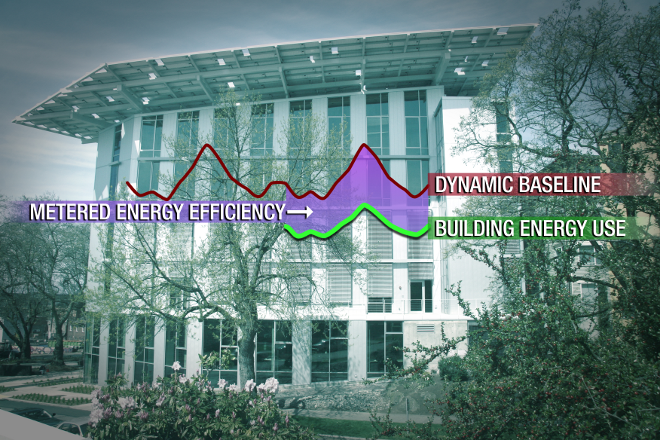 The structure opens the energy efficiency world to utility scalability. The transaction is supported by OR BEST and the Northwest utility industry’s technical energy efficiency group, the Northwest Energy Efficiency Alliance (NEEA). The project features a 20-year utility power purchase agreement, between Seattle City Light and the new Bullitt Center – the world’s greenest office building. The dynamic baseline metering is provided by MEETS Accelerator Coalition member, EnergyRM. You will find the City of Seattle’s press release here. You will find a press release from Perkins Coie here. © 2010 - Present MEETS Accelerator Coalition.